At first glance, the Daily Table in the Dorchester neighborhood of Boston looks like any other neighborhood grocer—there’s organic asparagus and plump blackberries, tubs of pre-shredded mozzarella cheese and ready-to-go meals like chicken with penne, carrot-ginger soup and veggie stir-fry. Cute chalkboards shout out the names of farms supplying the store and food specials of the day in neat penmanship. But once you take a look at the prices, it becomes clear that this is not your typical grocery store. Both the asparagus and the blackberries will set you back just 99 cents. Each 8-ounce tub of mozzarella is $1.49. A two-serving portion of the chicken with penne is $1.49 as well, while side dishes ring in at closer to 50 cents a pop. The nonprofit grocer, which just opened late last week, has a specific target market: the 49 million Americans who face food insecurity. Its mission? To sell groceries and grab-and-go meals that are not only nutritious but can also compete with price points at chains like McDonald’s. To do so, Daily Table is utilizing a mostly forgotten resource: the 70 billion pounds of perfectly edible food that go to waste each year in America. Food that might otherwise be destined for the dumpster does not have the best reputation in America. 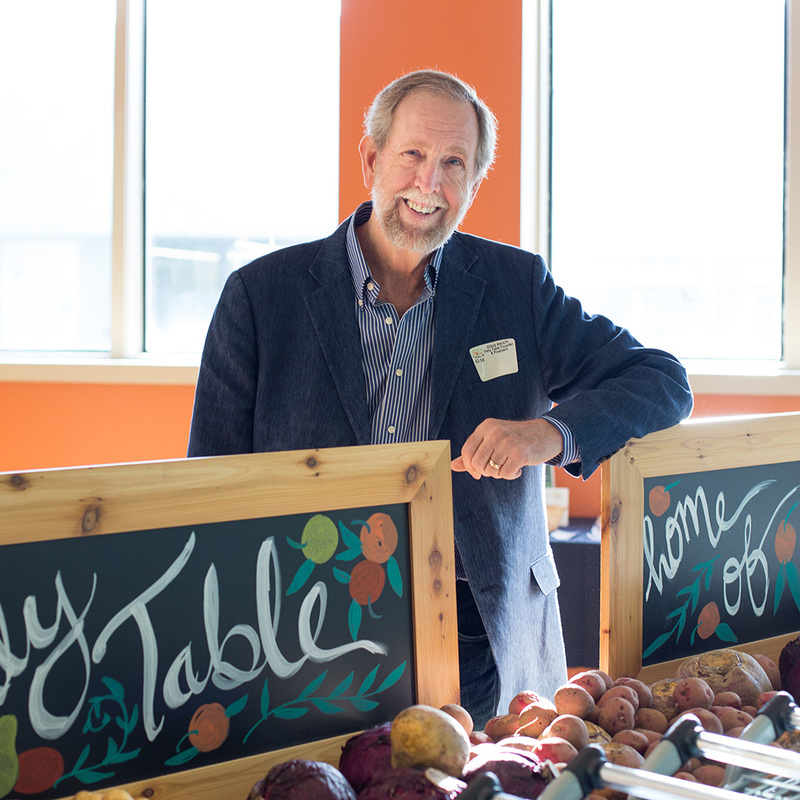 So to combat that problem, Daily Table founder Doug Rauch also tapped into Boston’s health-minded brain trust—Harvard’s School of Public Health, Boston Medical Center and others. They will create nutritional guidelines for the foods that can be sold in-store, which will hopefully inspire confidence from shoppers in what they buy and eat. Rauch, the former president of Trader Joe’s, dreamed up this project five years ago during a fellowship with Harvard’s Advanced Leadership Initiative. And if his first outpost of Daily Table proves successful, you can expect to see the concept expand to other cities in the future (Rauch says he’s already garnered lots of interest). Here, in Rauch’s words, why his big idea could be the future of food retail. Feeding people isn’t the same as nourishing them. On tapping into the “everyone loves a bargain” mentality. It’s time to change how we view “expired” food.